The European Commission and the chemicals industry have rejected claims, revealed by leaked emails in a new NGO report, that they actively sought to slow down work on the definition of criteria for regulating hormone disrupting chemicals. Campaigners at the Corporate Europe Observatory and independent journalist Stéphane Horel, published a report on Wednesday (20 May), revealing contacts between Commission officials and industry groups. They claim they uncover the delaying tactics used by industry lobbyists on the EU’s endocrine disruptors strategy. Emails by the European Chemical Industry Council (CEFIC), the European Crop Protection Association (ECPA) as well as German chemical giants BASF and Bayer, are mentioned in the report, titled ‘A Toxic Affair‘. The organisations are presented as playing an active role in lobbying against regulation of hormone-disrupting chemicals. Their key demand was for the executive to undertake a study of the anticipated economic and social costs of any measure before regulating the chemicals. Known examples of endocrine disrupting chemicals include phthalates (a plastic-softener), brominated flame retardants (often used in household textile or furniture) and metals like lead and mercury. Some endocrine disrupting chemicals occur naturally, while synthetic varieties can be found in pesticides, electronics, personal care products and cosmetics. They can also be found as additives or contaminants in food. The scientific community is divided on how to define endocrine disruptors, and under what circumstances they may impact human health, especially at very low doses. >> Read our LinksDossier: Endocrine disruptors: Harmful or not? The European Commission’s directorate-general for the Environment (DG ENV) had planned to publish a definition of endocrine disruptors by December 2013, paving the way for regulating the substances. But in July that year, the Commission’s Secretariat-General decided to undertake an impact assessment, resulting in a delay of long-awaited strategy. This led Sweden to sue the Commission for breaching a bargaining agreement. The scientific criteria to define the hormone affecting chemicals is now not likely to be ready before 2017, four years after the initial deadline set by the European Parliament. According to PAN Europe, an anti-pesticide NGO, many Commission directorates intervened to delay action. While DG ENV was leading the definition of criteria for endocrine-disrupting chemicals, the Commission’s health department DG SANCO (now SANTE) collaborated with DG Enterprise to undermine the work of DG ENV, said PAN Europe. Together, they authorised the European Food Safety Authority (EFSA) to redo the work done by DG ENV and the EU’s Joint Research Center (JRC), the NGO claims. DG SANCO later turned to DG Enterprise, DG Trade and the Secretary-General with exaggerated claims about the profit losses caused by a potential ban on some endocrine-disrupting substances used in pesticides, PAN Europe said. This, in turn, would have negative consequences for the ongoing EU-US trade talks (TTIP). “DG SANTE, in an effort to stop DG ENV, joined forces with these economic DGs behind the back of DG ENV and won the power play,” PAN Europe said in a statement. Contacted by EURACTIV, a Commission spokesperson denied that DG SANTE had deliberately tried to delay work on a scientific definition for endocrine disruptors. A public consultation on the matter ended in January, which means that the executive is currently looking through thousands of documents, resulting in the delay, the spokesperson explained, saying the Commission was taking endocrine disruptors “very seriously”. Hubert Mandery, the Director General of CEFIC, called the new report “inaccurate and misrepresenting industry’s position”. “It is in our interest to have clear scientific criteria as a basis for regulatory action as soon as possible. We have forwarded our opinion to the Commission asking for a science-based approach. We are all awaiting the proposal for appropriate science-based criteria to guide us,” he added. Mandery said that despite the fact that final criteria are not yet in place, the “existing stringent EU regulatory framework does address endocrine disruption”. In the absence of the final endocrine disruption criteria, a set of interim criteria will continue to apply for plant protection products and biocides, Mandery stressed, saying existing regulations will “continue to provide high levels of protection for public health and the environment”. In an interview with EURACTIV in January, Jean-Charles Bocquet, the Director General of ECPA, likewise denied that the pesticide industry had lobbied to delay the EU criteria for endocrine disruptors. Bocquet told EURACTIV that pesticide makers take endocrine disruptors “very seriously”, and found the NGO report to be “a one-sided, and unbalanced account providing the wrong impression of industry’s input into the process for setting criteria for endocrine disruptors”. “The crop protection industry does support the principle of carrying out impact assessments as part of preparing European policy. Since the publication of the proposal for the Plant Protection Regulation itself in 2006, ECPA asked for such an evaluation on the criteria for endocrine disruption. It is unfortunate that this type of assessment was not undertaken earlier in the process and is only being initiated now,” the ECPA said. "In our view the report issued by Corporate Europe Observatory (CEO) and Mrs. Stéphane Horel provides an unbalanced view of the whole process. The European plastics industry is fully committed to the protection of public health, the environment and the safety of its products. 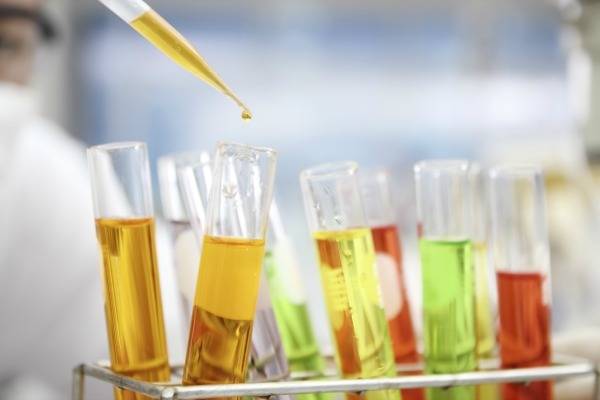 The European plastics industry takes the topic of endocrine disruptors (ED) very seriously. Our key interest is to have clear and workable criteria to protect human health and the environment without undue delay. PlasticsEurope is determined to bring its contribution in an open, transparent and constructive dialogue. We believe that all stakeholders, including industry, should engage in this important debate to bring their expertise in the development of ED criteria." Rising cancer levels and fertility problems have attracted scientists’ attention to endocrine disrupting chemicals, with some calling for strict regulation of the substances, in line with the precautionary principle. Other scientists, meanwhile, stress the worthiness of those chemicals in everyday products such as plastics and warn that the foundations of science risk being turned upside down if precautionary measures are taken. 2017: Likely year for publication of criteria and definition of endocrine disruptor.